Daddy Dong explain why Zia nevee got a haircut for 3 years. “For 3 yrs, Zia never got a haircut. Why? Because I want her to grow long hair. But now that she personally requested to have bangs like her Mama at sinamahan pa ng konting lambing. I finally gave in. 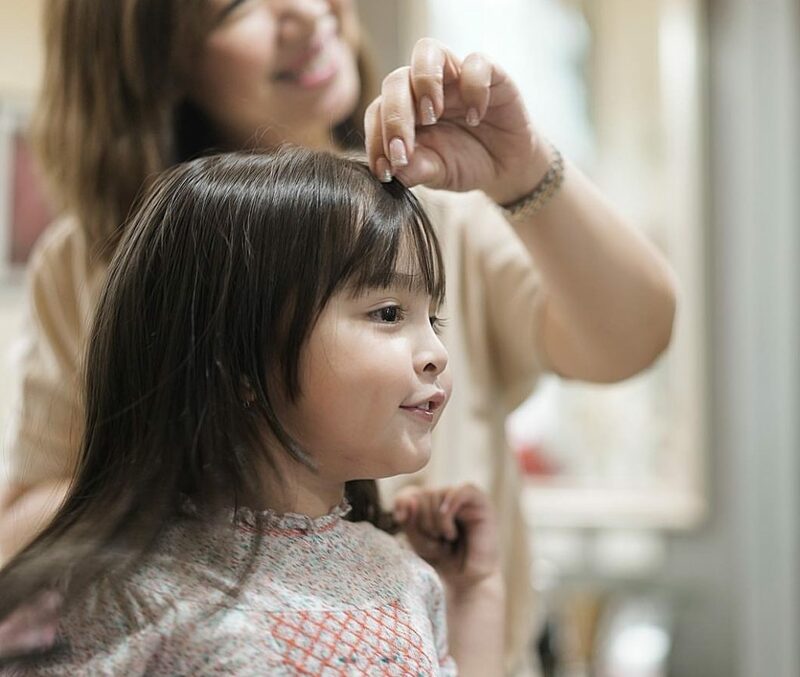 We believe in the old “pamahiin” that whoever cuts your child’s first hair will be as smart as that person. Kaya for us significant ito talaga ito so I thought it would be best to have a bit of both brains. So kung ako nag cut, si Mama naman ang nagsabi which style. (Syempre ala nga naman ako! Hahaha!) And if you follow Mama, that’s definitely a smart move. She also requested to have it done by her Ate Celeste— Marian’s hairstylist for years. Kaya, Salamat Ate Celeste and Symmetria Salon for taking care of my girls! The Team Dantes Christmas Party also became a celebration of Zia’s birthday. The fans got to sing Happy Birthday to Zia. Zia told them, “Are you guys ready to sing happy birthday to me!” Zia was so happy and excited for us to sing happy birthday to her. Zia even showed us how to kembot. She is just like her Mama. She’s very flexible! Thank you Goldilocks for Zia’s beautiful birthday cake! Next PostZia to fans: More pa More pa!